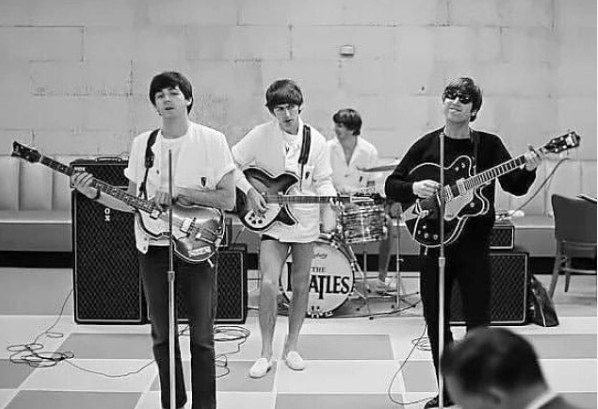 The Beatles were so innovative that they almost influence every genre of contemporary music from rock and roll music to pop music throughout the late 20th century. It happened when the two legends teamed up, John Lennon and Paul McCartney who is still unequaled in the history of music, largely because of their genius and visions for developing such incredible music. The catchy tunes they created as a two-man hit became a big factor over the coming decades, and it all started in Liverpool and ended in NYC. The Beatles imagination was so unlimited that they used it as a tool like it was state-of-the-art equipment for innovating music. Each of them had the potential and managed to use it fully in which their experimentation paved the way for progressive rock and virtually every genre that relied on the technicality. The White Album was their most brilliant music innovation, though Sgt. Pepper’s Lonely Hearts Club was a milestone in using the orchestra as the backup for rock songs – the feedback they used in White Album, opened the floodgates for Jimi Hendrix and dozens of other heavy metal bands. And these developments are the entirety of “Lennon and McCartney’s genius” and it changed the face of rock music. The Beatles are truly noteworthy and their legacy would live on (possibly forever). The works of Lennon, Mc Cartney, Harrison, and Starr extended far beyond the demise of the Beatles. Everything they did for rock and roll constitutes one of the greatest chapters in the history of music and of themselves. You can name the greatest Rock n Roll, Heavy Metal, Pop, Thrash Metal, Black Metal, New Wave, and Hard Rock band, but the Beatles will always be, without a doubt, the greatest band in music history.